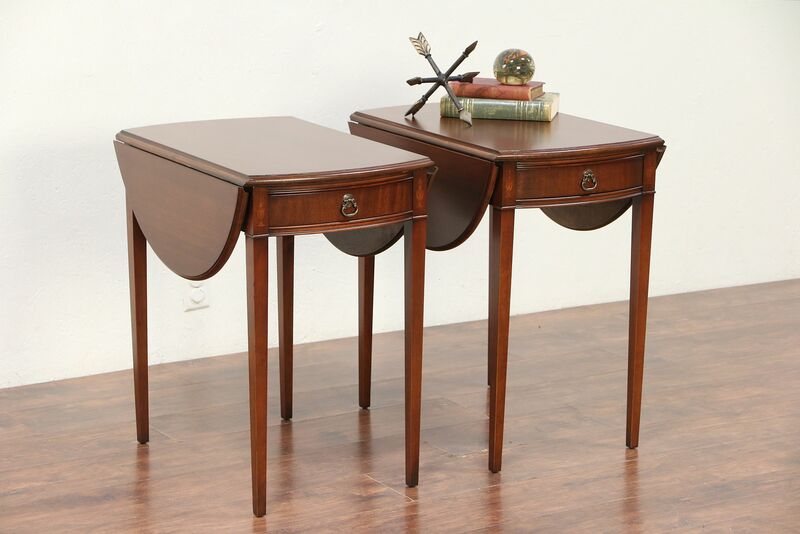 A pair of traditional mahogany "Pembroke" lamp or end tables have drop leaves that form a true oval when raised. About 60 years old, there is delicate inlaid marquetry in the front legs. The restored finish is in very good condition on this American made vintage furniture. Drawers have curved fronts and dovetail joints. No maker's signature survives. Measurements with drop leaves down are 18" wide, 26" deep and 27" tall, with both leaves raised, width is 35."